AWS CloudFormation simplifies provisioning and management on AWS. 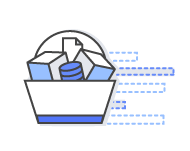 You can create templates for the service or application architectures you want and have AWS CloudFormation use those templates for quick and reliable provisioning of the services or applications (called “stacks”). You can also easily update or replicate the stacks as needed. This collection of sample templates will help you get started with AWS CloudFormation and quickly build your own templates. Browse sample templates by AWS service. Browse template snippets by AWS service. Refer to our developer documentation for more examples and reference. 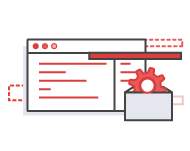 Application framework templates demonstrate how to use AWS CloudFormation to provision popular frameworks such as LAMP and Ruby on Rails. Browse AWS Labs for experimental AWS CloudFormation templates and other projects contributed by AWS employees and partners. AWS Quick Start offers AWS CloudFormation templates and detailed deployment guides for popular IT workloads such as Microsoft Windows Server and SAP HANA. Visit AWS Test Drive to try popular IT solutions from vendors such as Oracle and Microsoft, provisioned using AWS CloudFormation in a private sandbox environment. Sample solution templates show how to create an end-to-end solution with common applications. AWS does not support or maintain the applications in these samples. The samples are only for demonstrating the capabilities of AWS CloudFormation. Note: AWS CloudFormation sample templates are AWS Content under the AWS Customer Agreement and may only be used in connection with AWS CloudFormation.